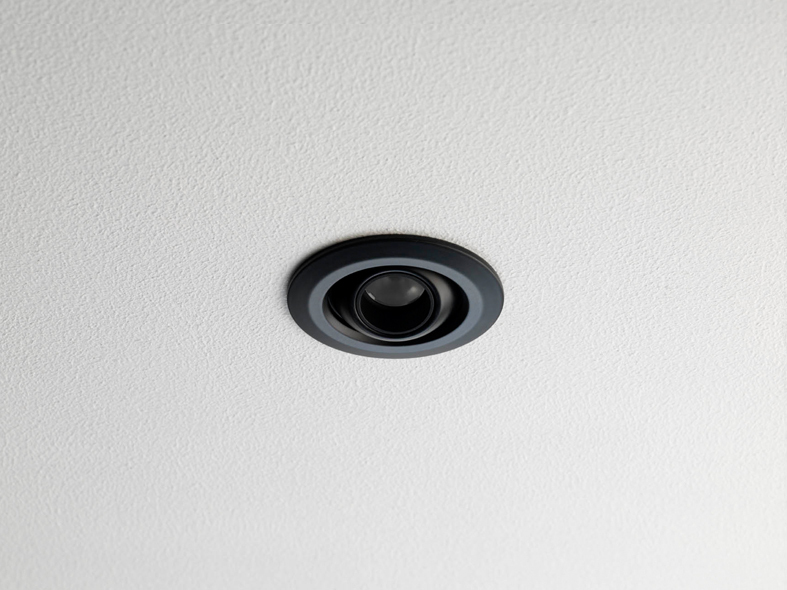 Minimo Eye is a compact multi-directional recessed LED luminaire, offering versatility in beam direction making it an ideal miniature spotlight for lighting scenarios that are subject to regular alteration, such as in retail or gallery settings. 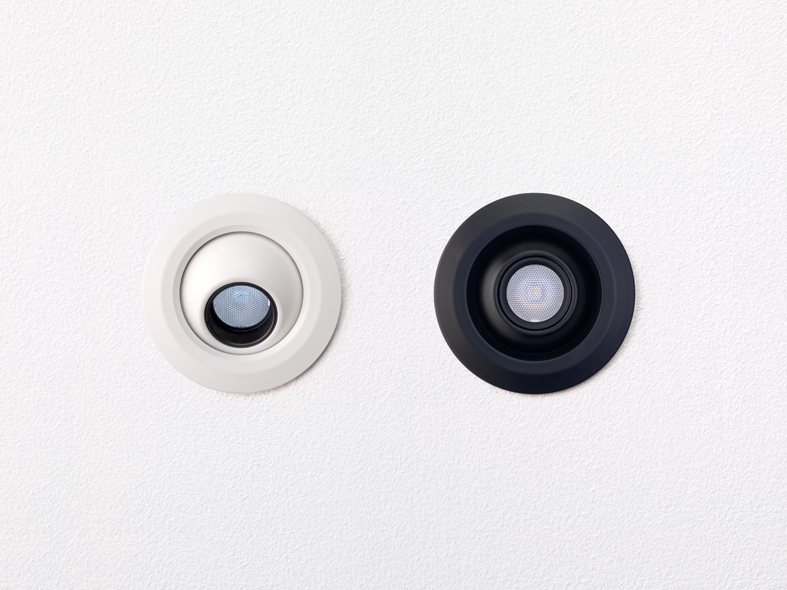 The characteristic Minimo Eye packs the flexibility of both pan and tilt alteration into a very compact form factor, measuring just 52mm across, while sharing the same minimalist aesthetic of the other luminaires in the Minimo family. 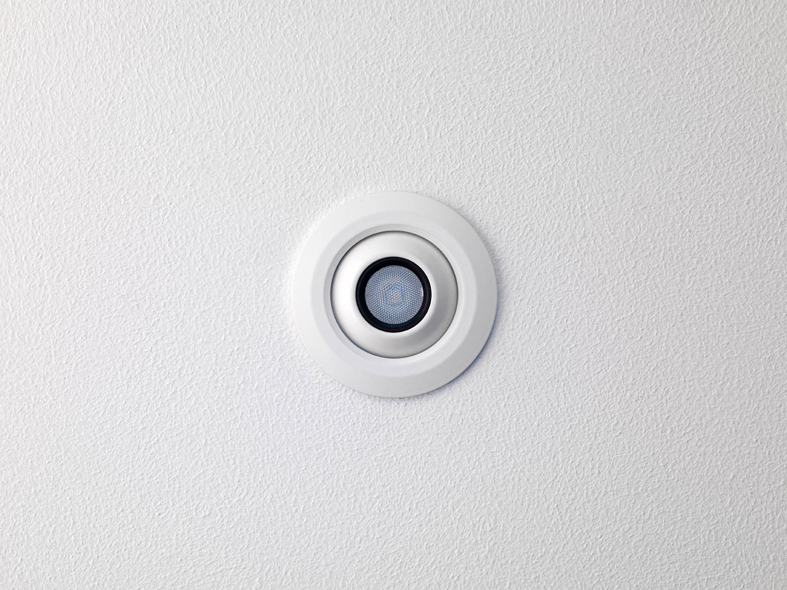 Both the tilt and pan have been designed for smooth yet precise movement, with the luminaire being rotated 360° after installation, and the tilt angle adjusted to a maximum of 30° from the centre. 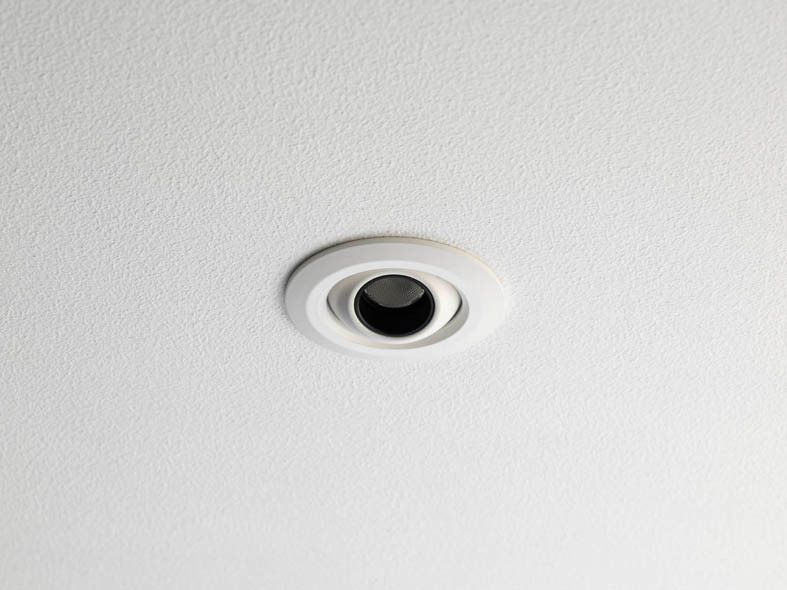 Optical flexibility is provided through three site-changeable optics that deliver distributions between 12 and 60°, offering the choice of a tight spot, flood or wide flood of light. Colour rendering, critical in retail and gallery settings, has been carefully considered, with the LED light engine producing 95+CRI with an R9 of 92.